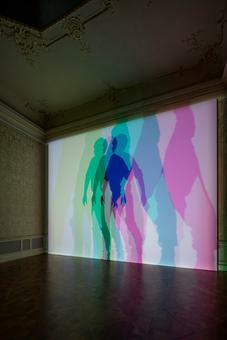 Five coloured spotlights, directed at a white wall, are arranged in a line on the floor: a green light positioned next to another green light, followed by a magenta light, an orange light, and, finally, a blue light. These colours combine to illuminate the wall with a bright white light. 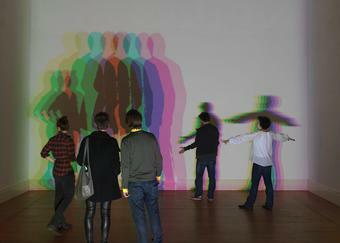 When the visitor enters the space, her projected shadow, by blocking each coloured light from a slightly different angle, appears on the wall as an array of five differently coloured silhouettes. 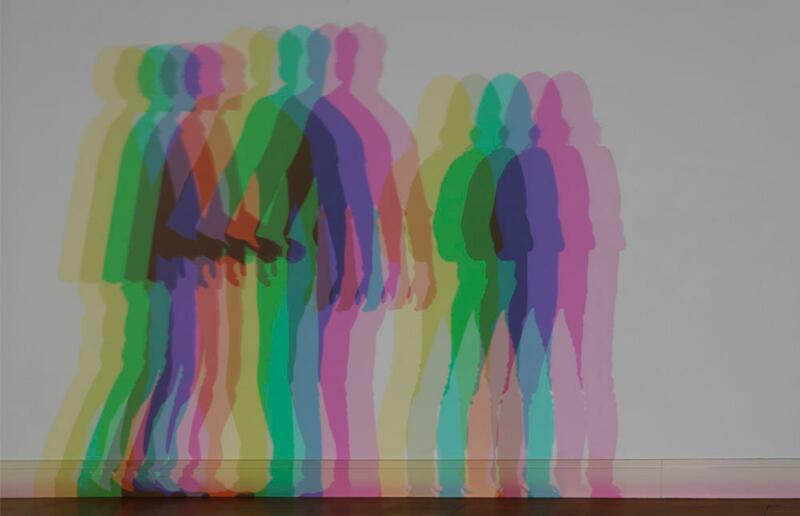 In addition to the dark shadow created where all five lights are obstructed, the colours of the other shadows – one yellow, one violet, one cyan, and two magenta – reflect the properties of additive colour. 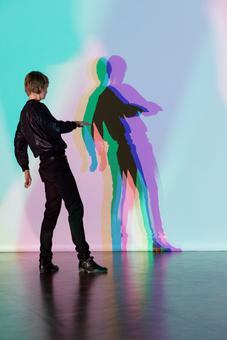 As a visitor blocks light from the blue spotlight, for instance, the resultant shadow is lit by a combination of green, magenta, and orange lights, creating a yellow shadow. 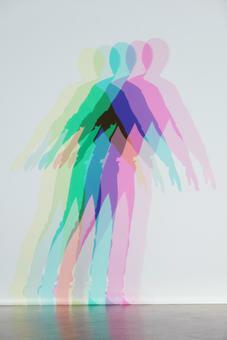 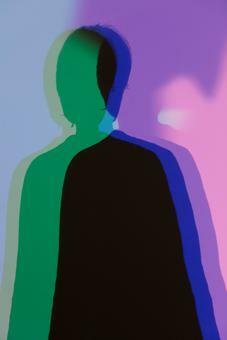 The overlap of the five silhouettes produces further hues. 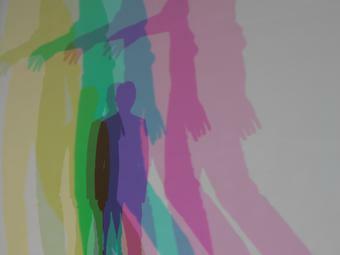 As visitors move about the space, passing closer to and farther away from the lights, the silhouettes shift in colour intensity and scale.